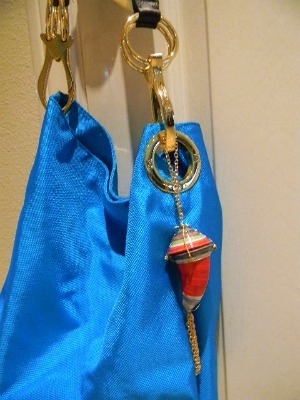 Unique purse charm, what do you think? I would also write a little prayer or wishes in a small piece of paper and that in itself is a gift. so beautiful! how do you make these? Will you be sharing the instructions for these? They are fabulous! I figured out a cocoon similar to yours, also a different way to keep the top on. Not what you have, but it works. I’m going to put it in my web store as soon as I get nice weather to take photos. This is so cool. So intriguing. I’m right now trying to figure out how to do them. So far not what you have, but I’m starting to get the idea. How do you do the top part to make it stay in place? wow …!!! I love, I love, I love them! they are all beautiful! 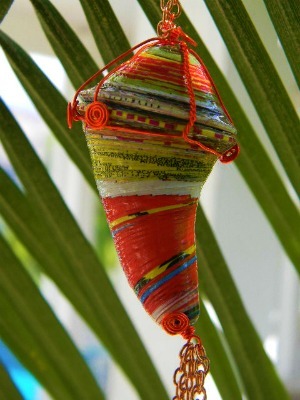 they remain one of my favorite forms of paper beads … and very pretty in charm bag!. many ideas….good job Janice ! !